Enjoy endless spectacular views from this 4th floor oceanfront, luxury suite. 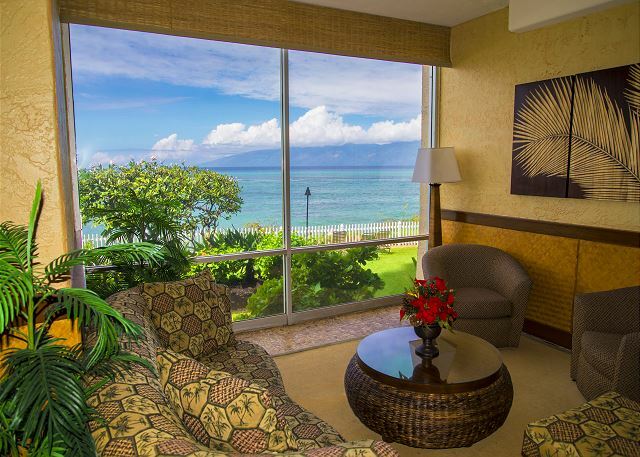 Royal Kahana #409 offers stunning ocean and sunset views and features comfortable high-end designer décor throughout. 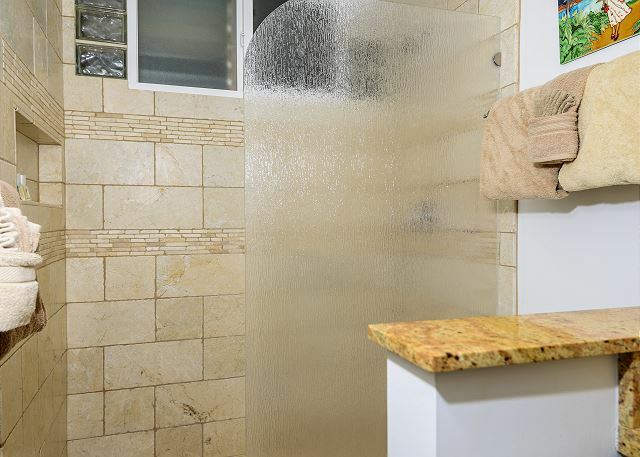 The kitchen and bathroom are newly remodeled and modern. The bedroom features an ultra comfortable King size bed. There is also an inflatable queen size bed available that can accommodate an additional 2 people. Both the living room and the bedroom are set up with flat screen TV's. Enjoy dining indoors at the dining area or outside on your private lanai. The fully appointed kitchen features top of the line appliances and a full set of dishes and cookware for your enjoyment. There are also BBQ grills available for your outdoor cooking pleasure. This beautiful condo is the perfect front row spot to watch the whales breach during season from your oceanfront living room or lanai. You can also see the islands of Lanai and Molokai just across the water. Just north of the resort is the famous Kapalua Bay. Kapalua Bay is always voted as one of the top beaches in the world by Conde Nast Magazine. Honolua Bay is just a bit farther north and is a marine reserve that is a must see and snorkel destination! 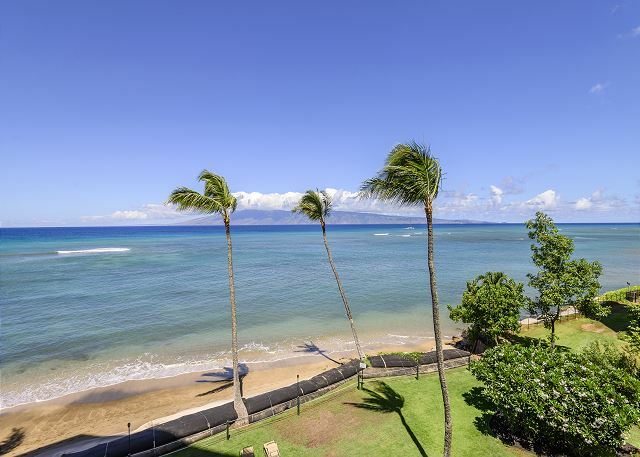 The Royal Kahana Resort is situated on lush tropical grounds in beautiful Kahana and is perfect for turtle sightings, whale watching (in the winter months) and simply relaxing. 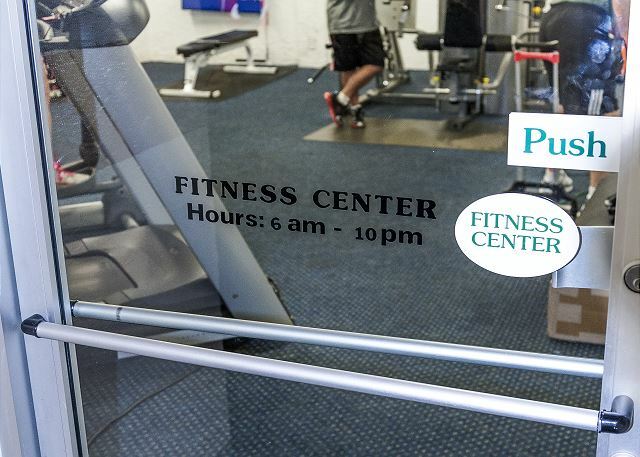 The resort features a swimming pool, shuffle board, a fitness center, an activities desk, free WI-FI and much more! 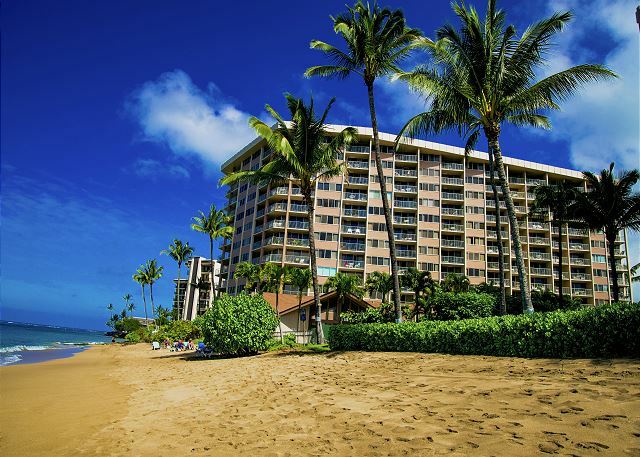 The Royal Kahana resort is centrally located between Ka`anapali and Kapalua. 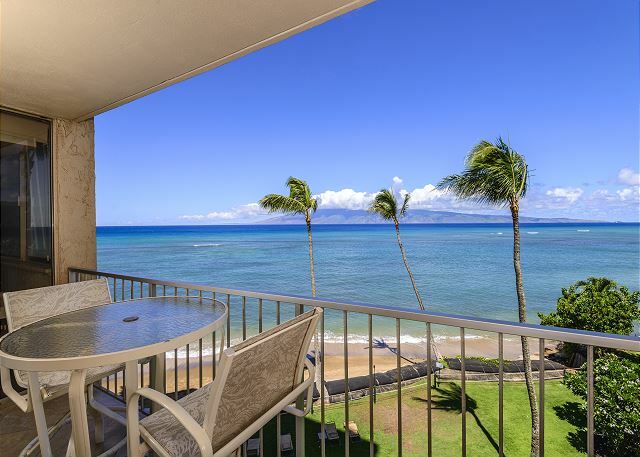 It is an ideal location in that it provides guests the quiet atmosphere of Kahana while only minutes away from activities and sightseeing that makes Maui one of the highest visited islands in the world. The property is walking distance to shops, restaurants, banking, coffee, and a wonderful local Farmer's Market. 4/5 stars Review by David B. Satisfied with the property except upon check in there was a musty smell throughout which we realized was very wet carpet in the master bedroom. We called Epic the morning after check in and the Epic agent sent a carpet cleaning professional right away. He spent the entire day cleaning the carpet which we appreciated. On the downside, we needed to adjust our activities that day to accommodate his work. Upon his completion of the cleaning job we never received any follow up from the Epic agent to assess our satisfaction. We were disappointed that there was no offer of any adjustment or refund for the day loss and inconvenience. Without this issue we would have rated the property and experience at the very satisfied level. 4/5 stars Review by Sheryl P.
The pictures describe the unit perfectly, it was beautiful. There is no beach, so to go for a walk you need to go out to the road. It's just down the hill from Kona Brewing, where we went for lunch a couple of times. We went whale watching a few times and saw many whales. We had some maintenance issues, but Epic realty took care of them in a day. 5/5 stars Review by Chris S.
My wife and I were celebrating our 10 year anniversary. The room was clean and very nice. The bed was comfortable and when we had questions for Epic, they responded promptly. Thanks to Epic for a great time in Maui! 5/5 stars Review by Cindy D.
The accommodations were perfect for our needs. The kitchen does need more pans and cookware options. We enjoyed waking up to the view and going to sleep with the sound of the ocean outside the window. We couldn't ask for a better location with the beautiful view and for our needs while we were there. Dollie's pub across the street has delicious pizza. 5/5 stars Review by Steve S.
I have been to Maui many times and stayed in the same area which has become my favorite. the condo was great. The views were great and the space was very well designed. Would stay here again on my next trip for sure. We liked this unit a lot; just what you want in a rental unit. Good view; just like the photo. Nice furniture & equipment in kitchen, washer/dryer, etc- can easily stay here for awhile. Nice pool, good BBQs. Parking was convenient in the basement, easy access to the elevator.Minor issue: some ceiling light bulbs were burned out, which left a dark kitchen. 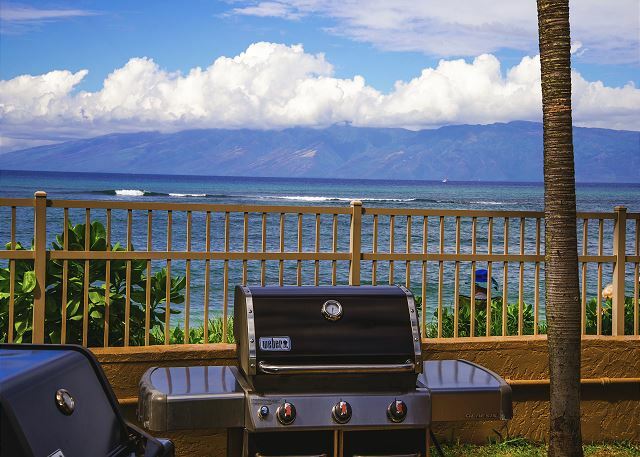 5/5 stars Review by AB-Laura W.
We had an amazing time at this location in Maui. The condo was clean there were beach chairs And beach towels along with a boogie board. The home was beautifully decorated the pictures were amazing. The shower was warm and water was plentiful. We very much enjoyed the cookies that were left for us as well! We would definitely recommend this with a five star rating and will be back again. Listening to the sound of the waves from the entire condo was just a tremendous experience for us both. We had an amazing time at this condo. The views were spectacular and the condo was quite amazing. Beautiful updated kitchen. We enjoyed our stay!! 5/5 stars Review by Erik P.
Great place to stay and we would stay there again. 5/5 stars Review by Dominic F.
The condo was very clean and comfortable. All of the amenities were perfect. We will definitely try to book this condo for our next trip to Maui. We enjoyed 9 day vacation for 2 in June. Would definitely stay again. Dear Edwin, Thank you for your feedback. We are very happy you enjoyed your stay at Royal Kahana 409. We would love to have you back again. Best wishes, Epic Realty LLC. Great location, great floor plan. Some areas could be a little cleaner. Bedroom chairs needed replacing due to sun damage (peeling) and bar stools cleaned. 5/5 stars Review by Todd M.
4/5 stars Review by Robert D.
Sorry, went to give my review and the email was gone. Room 409 at the Royal Kahana was a great place to stay. The view was great and spent a lot of time just soaking it up. The room was very clean and had a lot of amenities. To was close to all locations, and feel we would like to stay in room 409 again. I would recommend this as a great place to stay. We love eating in Lahaina and we had little travel time getting there. It was a very relaxed stay. Only item I would make a suggestion on was the rug in the living room. Very uncomfortable to walk on. Only reason for a 4-star rating was the rug. I have arthritis and walking on the rug Actually hurt the bottoms of my feet. But, minor item. Everything we could have asked for. 5/5 stars Review by Mary J. The view was spectacular! The condo was in a good location with a beach to swim. 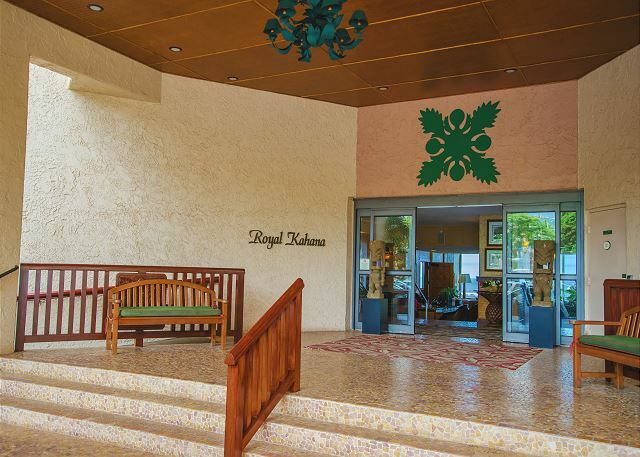 4/5 stars Review by Robin M.
My husband and I have stayed at The Royal Kahana three times now. This is the first time we've been there when there was no beach access. It's very sad to see how the erosion has taken away a huge part of the ocean front property. It would have been nice to have been warned there was no beach access, as one of our "requirements" when choosing a place to stay is to be able to get on to the beach easily for a morning stroll etc. The condo itself was lovely. For the most part clean except for the white chairs needed some attention. The king bed was one of the best we have found in our numerous trips to Maui! We saw some amazing sunsets and were able to sit on the lanai and watch the whales and other activities right there in front of us. There is ample parking and plenty of places to walk to for food and browsing if you don't feel like driving anywhere. Thank you for a wonderful place to enjoy our much needed vacation! Condo Experince at Royal Kahana, Suite 409. 4/5 stars Review by Greg K.
Overall the experience was good. I enjoyed the condo very much. The amentites in the condo always met our needs. The condo was clean upon our arrival. It did require some paint touch up and the two chairs in the BR required repair due to useage. The property was well maintained, the pool was clean, BBQ area was neat and propane grills were very clean. The one downside to our condo visit is that we didn't have beach access to our condo that was suggested per the pictures provided. The owners need to inform potential renters that global warming has struck and what Hawaians euphemistically call beach erosion has marred the beach with sand bags, etc. The ocean view fromt condo was breath taking. 5/5 stars Review by Senoris J. 4/5 stars Review by RASHIN L.
4/5 stars Review by Anthony B. 5/5 stars Review by Edward O. 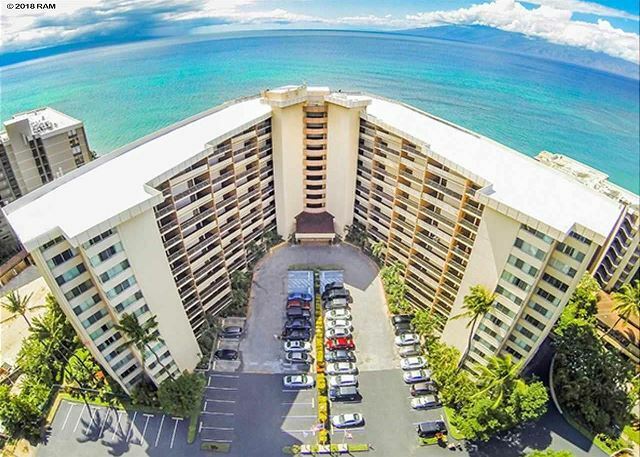 This is definitely the Jewel of Royal Kahana very nice condo with great views. Unit was very clean and well maintained. We enjoyed our stay for our wedding and Honeymoon. 5/5 stars Review by CARL P.
The unit was in best shape. Would like one or two more restaurants close to the Royal Kahana. The outer parking (next to the street) very dark and could use a lamp or two. Maui condo is just as described. Nicely decorated with a beautiful view, even a view of the ocean from the bedroom. The cond had obviously been remodeled recently with updated furniture and a very comfortable bed. The condo is centeraly located to everything. Our only complaint would be no ocean access at this time, work was being done on the shoreline. 5/5 stars Review by Derek M.
Amazing. There were cockroaches there but not many (couple per day). Still awesome despite this. 1/5 stars Review by Terri B. We just returned home from our 30 th wedding anniversary in Maui ! A long awaited trip ! I'm sad to say it started off horrible! We got to the Royal Kahana at midnight . We were exhausted but excited to finally get to our condo ! We downloaded the Epic Maui app that was wonderful ,, 24 hrs before we checked in it gave us a code to get into the Condo! , We knew an email was coming with the code but thought it was so easy to see the code in their great app ! We arrive check in at the desk ,but had to wait a while as the young woman working was the taking call after call about room leaks ! We thought this isn't good to hear ! Went to our room put in the code from the so , didn't work !! Tried over and over nothing ! i went back to front desk , now it's about 1:30 am , she's still taking calls about leaks two calls at a time !! I said our code isn't working can you help us ? She grabbed a skrew driver and off to 4 th floor we go !! She tried to jam the screwdriver into the lock box ! By now we are thinking what the heck ! I called the number in my app, epic reality, I called probably 5 times thinking well someone has to check calls ? The young girl frazzled , called her boss, all keys to units locked up ! If we waited til 6 am , she could get a key to open the door !! Now it's about 3:45 am ! No help ! cannot get in our room ! Very very unprofessional place. no offer to find us a room ! At 4 am we left very upset , I have never seen anything like this ! at 5 am ! I've never felt so upset ever stranded on vacation ! At 5 am we found a resort and booked 10 days !! I could go in and on , it took me a few days to get over this fiasco ! It turned out the code for the lock box in the app isn't the right code at all !! It's the code in your email !! I guess they shouldn't have an app that gives the guests the wrong code ! After a few days we went to the condo to look at it ! It was clean and newer , the resort is old and has a moldy smell ! 4/5 stars Review by Cheryl F.
5/5 stars Review by Jessica G.
This was such a wonderful place to stay! The view was to die for and the condo had everything we needed! Very clean. We will stay here again! Royal Kahana #409 was everything we expected and much more! 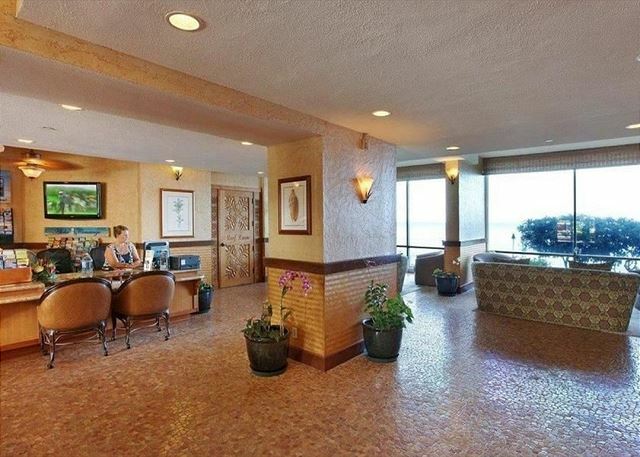 It's a beautifully furnished,very comfortable & spacious condo with a fabulous oceanfront view. We enjoyed it very much there. The apartment was a dream! The view is amazing and you sleep to the sound of the ocean. The apartment is just as beautiful as described in the pictures. The interior design is high-class with an eye for the details. We enjoyed the beach mats, snorkeling gear and parasol that's available. Washer and dryer come in handy to dry wet beach towels after swimming. Overall it was an amazing stay and we would love to come again. 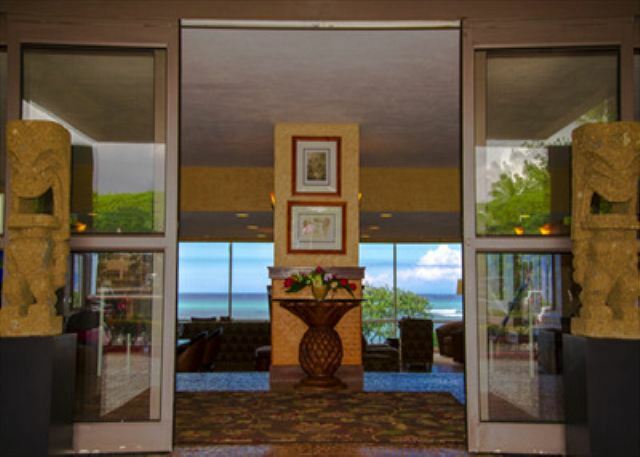 5/5 stars Review by Paula H.
Roger and I enjoyed our stay at the Jewel of the Royal Kahana! Beautiful views and room. Great location. It was so quiet yet close to shops, restaurants and excellent snorkeling locations. Room had everything we could possibly need for our stay. Will stay at the Royal Kahana again on our next trip to beautiful Maui! 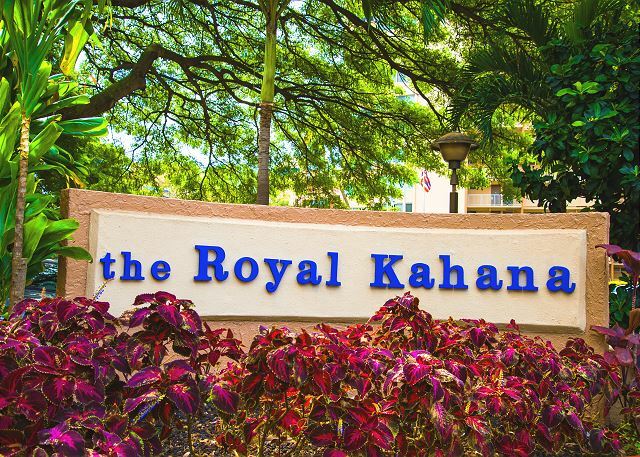 5/5 stars Review by Julia S.
Had a wonderful 3 week stay at the Royal Kahana. Our unit was fabulous and the view was stunning. Helen and Tony were extremely helpful when needed. Ben, the security guard was lovely and kept the outside area tidy and safe. We would go back any time. My only comment would be that there were no serving bowls/plates, and no plastic glasses to take to the pool area, but we had everything else we could need. Thanks so much Epic. 3/5 stars Review by Rick F.
4/5 stars Review by Chris G.
Overall 409 is a nice property.Weather was windy and rainy - not the properties issue....but,with the wind blowing we had 2 choices - sliders open and wind through the condo - sliders closed and an intolerable wind whistling/howling noise all the time.Condo is very nice condition and well furnished. Bed-headboard has seen better days and lets the condo down - its badly worn on one side and both lights have no shades. Two most important things in any stay are the mattress and pillows.Mattress in this condo is good.pillows are bad and need replacing.Location - Kahana was wet and windy all week and it was raining a lot in Kahana while just down the road at Kaanapali the sun was shining.Virtually no beach most of the time at the Royal Kahana and with sudden drop-off you wouldn't want to swim there so you really have to walk a ways down the shore. 5/5 stars Review by Lauren A. Hosts were great to work with. We had a fluke issue with the lockbox on the door not working when we arrived. Turned out the battery had died between the time they checked it earlier that day and when we arrived that night. Was able to get a hold of Helen at Epic using the number provided, and she and another rep showed up 10 minutes later. They were very friendly and not put-out at all, took care of the problem, and we all had a laugh about it. Upscale amenities, plush bedding and towels. The shampoos/soaps could be a little nicer at this price, and it'd be nice to have tea provided for non-coffee drinkers. All in all, this was a great place! We were quite pleased with room 409. It looked like it was very recently remodeled in a contemporary style which we loved. The view was oceanfront and located at the right angle so the sun never beat through the windows. The suite was very clean and everything worked great. I would definitely stay here again. 5/5 stars Review by Kevin M.
The building is an older one, though well kept and safe. The pool area is pretty humble and for the most part we were ignored by the staff, which was OK by us, since Epic Maui Real Estate was responsive to our needs. The beach in front of the building is narrow, nearly disappearing at highest tide, but the water was generally calm for us in September, and the view of Molka'i and Lana'i is exceptional. I mean that. The view is astounding. On clear days you can count a dozen canyons on Moloka'i with the naked eye. If you prefer a bigger, better beach, there are many choices within a 10 minute drive. (Park by the Sea Horse Restaurant and enjoy one of the best)The condo unit itself is as pictured on the website. It's tastefully furnished in what the wife called "Island Modernist". Everything is sleek and new. The kitchen is well furnished with the necessaries and adequate in size. The bath was very nice and the bedroom was an oasis, 2 walls almost almost all glass and facing the sea but covered in tasteful shades that allowed us to sleep in if we wished or nap in the afternoon. The view from the lanai is spectacular. Moloka'i often looks close enough to swim to. I have only small gripe. The unit doesn't really have central air. The bedroom is air conditioned and there is one vent in the kitchen, but the AC unit does not cool the entire condo. We were there while Maui experienced record heat and were often uncomfortable. 5/5 stars Review by Patricia J. We loved the location. More relaxed & less crowed than the highrises down by Whalers Village but only a ten minute drive away. Perfect Location. 4/5 stars Review by Denise W.
We had a wonderful time in Maui and the unit was extremely nice, updated and clean. 5/5 stars Review by Peggy E.
The condo was great in every way - perfect for a couple. We had a wonderful stay and I would recommend this property to anyone desiring a quiet location convenient to beaches. 5/5 stars Review by Kenneth c.
5/5 stars Review by Lynne G.
We loved this condo. Great location, beach area and view!